These sneaker stores just got a fresh batch of the classic kicks! (SPOT.ph) If you've been praying to the sneaker gods about shoe stores restocking Adidas Superstars, then your prayers have been answered. Because the demand is just so high for the trendy white kicks, shoe stores around the Metro are starting to get fresh new batches of Superstars so you can finally score your own pair. Urban Athletics announced that their stores in Greenbelt 3 and UP Town Center restocked today, January 15—and they're allowing reservations! Just make sure to pick them up within 24 hours or else your pair will go to someone else. Shoe Salon has posted that they have a fresh batch of Superstars coming in today at their Glorietta 3 branch. Stock's limited, though, so there will be no reservations and only one pair per person will be allowed. Sneak Peek recently announced that they will be restocking their Shangri-La Plaza Mall, Eastwood, and Blue Bay Walk branches today. They will only be allowing one pair per customer (should be own size) and no reservations will be allowed. Planet Sports also posted about new stock coming in today in their TriNoma, Powerplant Mall, Alabang Town Center, Newport Mall, and Greenhills branches. 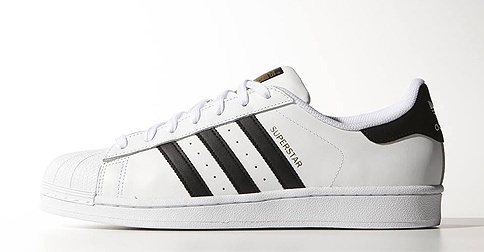 The Adidas Superstar is available for P4,395 in all four sneaker stores.